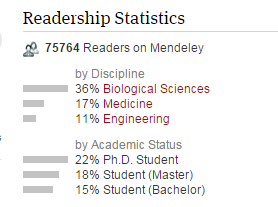 The Mendeley Application is recommended as a companion app to Mendeley Web and/or Desktop (rather than standalone). The app seamlessly syncs with your cloud based library. It is recommended if you have a large library to be connected to wi-fi before synchronising your library. All of your PDF's aren't necessarily downloaded when you sync your app but there are settings to change this if you require. You can also download individual PDF's to read and annotate. Any annotation made in the app will be available next time as well as on other devices or computers. Mendeley can be downloaded from the app store. 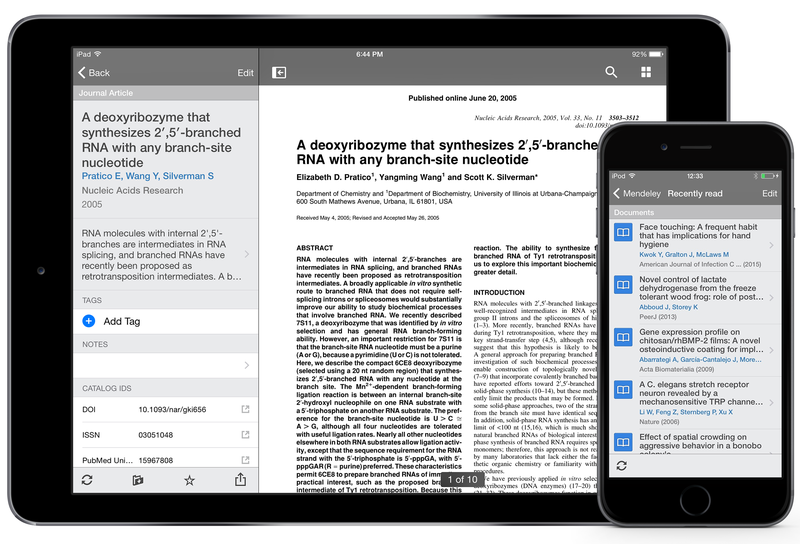 It is possible to add references to your library via your iOS app although Mendeley still recommends using Mendeley desktop as the preferred pathway. 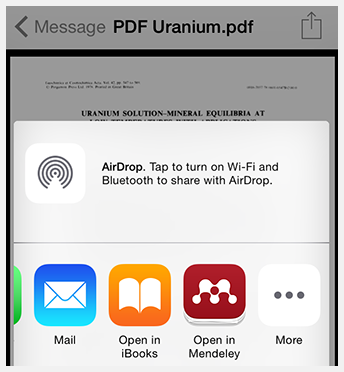 The app allows you to add PDF documents into Mendeley once they have been opened in another app. To do this, simply tap on the 'open in' icon in the right hand corner of the screen. The app will then attempt to get the details of the paper to add to the reference information. This will only happen the first time the PDF is added to the library. NB. Internet connection is needed to gather the reference information so ensure that you are connected before adding a reference to your library. Connect with fellow researchers and follow their activity from the Dashboard. 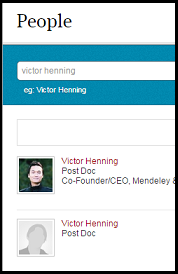 Identify collaboration partners with Mendeley. Search the people directory and follow interesting people. Look on the bottom left on each paper page to get know a little more about who is using the paper. 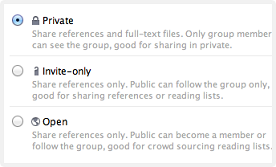 There are three types of groups in Mendeley. They are listed below. Join one of over 100,000 public groups to discuss the latest research in your field, stir debate, add content and promote your own work. Or even create your own public group. 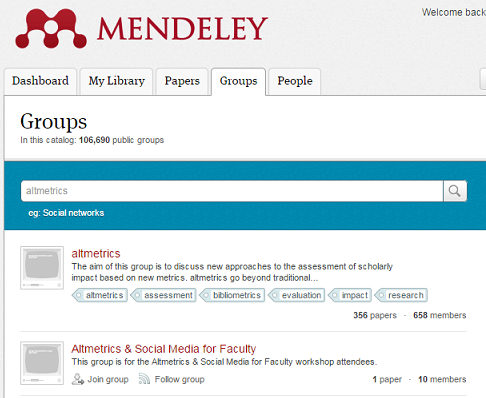 To search for public groups on Mendeley: Login to Mendeley Web then click the groups tab and enter a topic of interest into the search bar to find groups related to that topic.